R-40 Aluminum Decking - Thick Durable Comfort Coating "NO PING"
Aluminum decking deck designers and builders demand with versatility ideal for residential and light commercial outdoor decks. 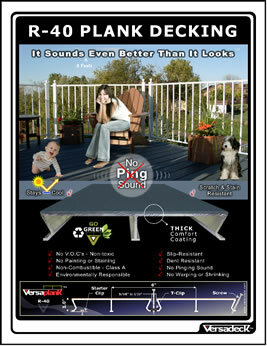 Aluminum flooring coated with 60-80 mils thick polyurea is durable WITHOUT THE ALUMINUM PING SOUND. 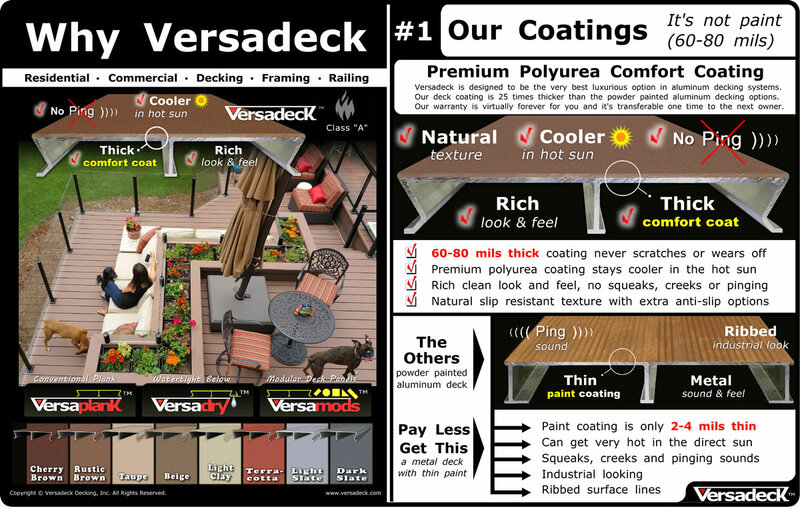 Versadeck™ Polyurea Coated Aluminum Decking is a high end, high performance decking product, combined with the versatility deck designers and builders demand. Create a deck that is multi-functional, efficient and achieve the perfect outdoor deck solution. Why use a product that limits the ability to create an ideal layout? Versadeck™ Decking opens the doors, allowing designers and builders to create deck designs that incorporate plank decking, waterproof decking and modular decking all within one project if needed. No other deck system on the market today can match the Versatility of Versadeck's™ Three Combine-able Systems. Versadeck™ Decking is covered with a thick polyurea coating that provides comfort, durability and a no-ping sound with a rich quality look and feel. 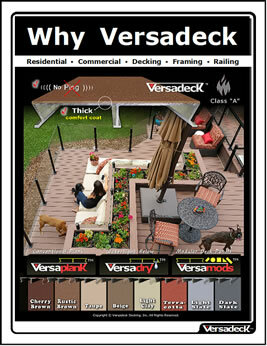 The Versadeck™ thick polyurea coating and design versatility, is what sets Versadeck™ Decking apart from the competition. Designed for residential use in mind, Versadeck™ Decking is strong and durable, making it ideal for light commercial use as well. 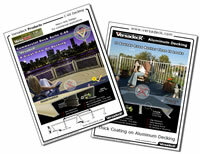 The Versaplank™Aluminum Plank Decking , Versadry™Aluminum Waterproof Decking and Versamods™ Aluminum Modular Decking systems are designed so they can be easily combined with one another. 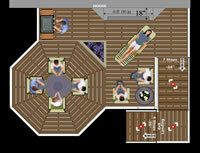 This feature gives designers and builders the flexibility to create layouts that suit a greater variety of applications. All three systems feature the R-40 aluminum plank extrusion as the base component of the designs. The R-40 plank alone can span/handle 36" joist support centers. 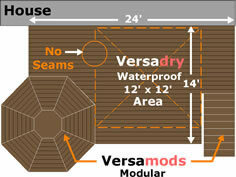 The added waterproofing extrusion used in the Versadry™ system and the modular design of the Versamods™ system, extends the spanning capabilities up to 42". This is three times the strength in comparison to most residential decking products commonly designed to handle a joist spacing of 24". 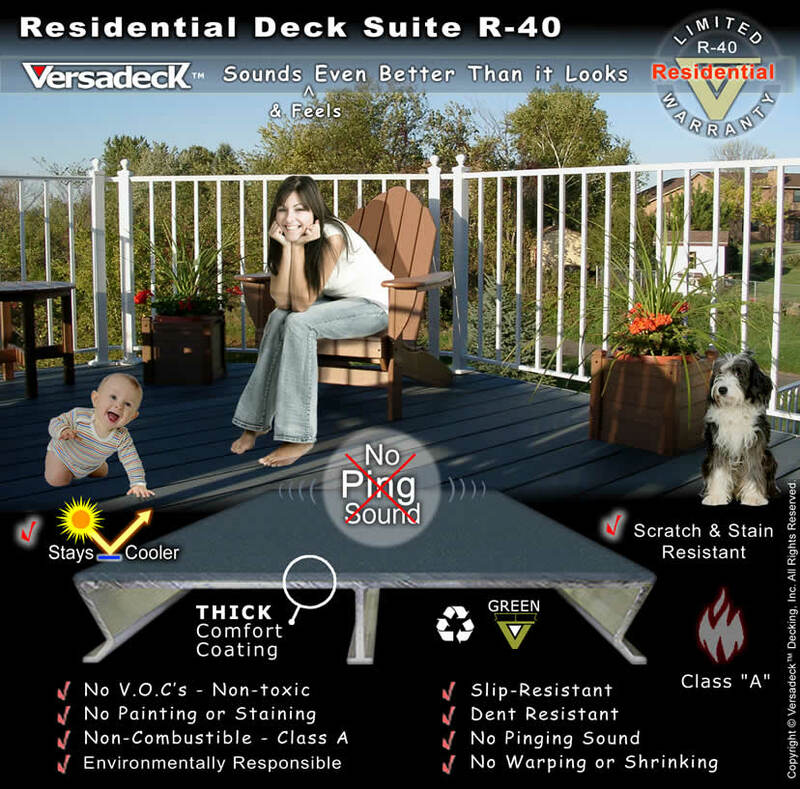 Designed with residential use in mind, the Versadeck™ R-40 systems feature superior strength making them ideal for both residential and light commercial use. The Versadeck™ aluminum decking Polyurea Deck Coating is thick, durable, slip resistant and comfortable to walk on in the hot sun. 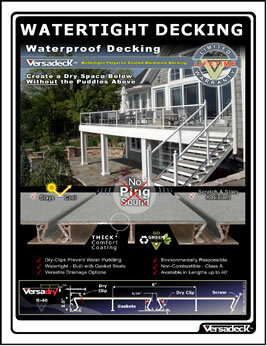 This deck coating is the difference that sets Versadeck™ Decking apart from the competition. Homeowners love the rich look and feel without the pinging sound associated with powder coated aluminum decking products. Architects prefer Versadeck™ Decking because they know that the combination of structural aluminum with perhaps the highest performance protective coating available means Versadeck™ polyurea coated aluminum decking will out perform the competition. 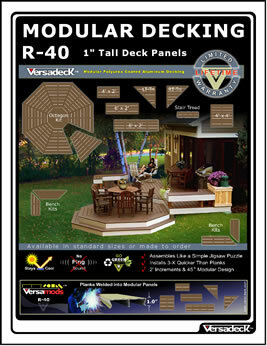 Versadeck deck kit package options can be customized to fit your home. 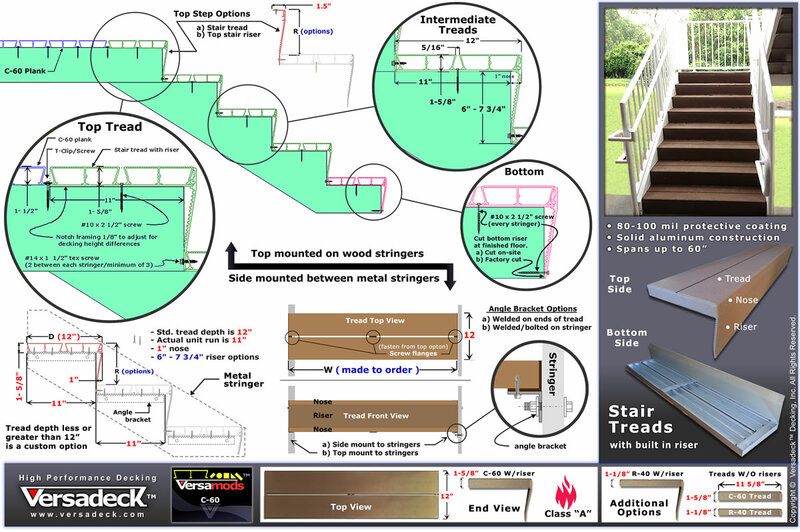 Aluminum decking, framing, railing and modular stairs are coated with high end class "A" fire rated coatings.